WS/250 provides HP terminal 2622D emulation on an HP-150 computer.Use a 25-pin stright through male to male connector. Use port 1 on the HP-150 (not port 2). Configure port 1 on the HP-150 to baud=9600, RecvPace=Xon/Xoff, and parity = Odd/7/1. 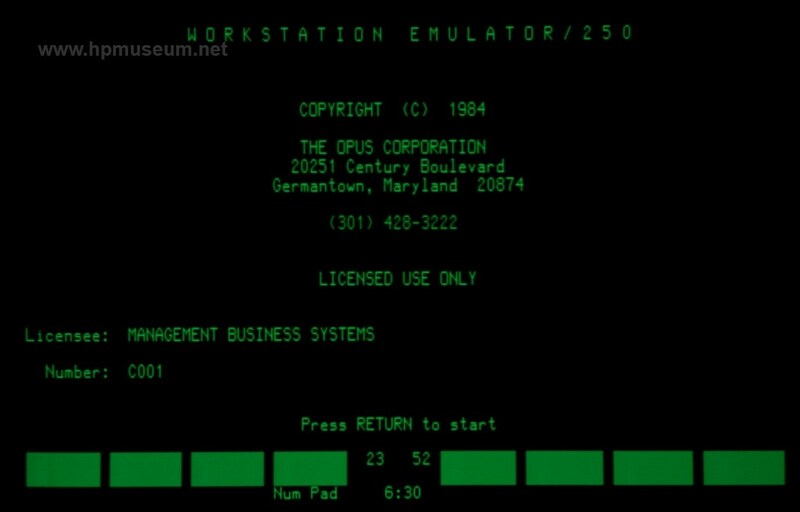 To emulate a 2622D on a more modern PC, use WS/260.